Kanye West to start his own streaming service? | What Hi-Fi? 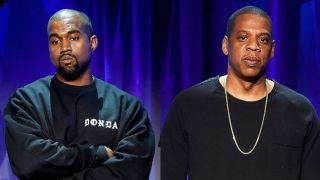 Four months after West cut ties with Jay-Z and the streaming service Tidal, Complex reports that West might be launching his own service called Yeezy Sound. The trademark application states the name would be used for the purpose of "streaming of music, audio, images, video and other multimedia content over the internet, mobile devices, wireless networks, and other computer networks and electronic communications networks." West left Tidal in July, accusing the streaming service of breach of contract.